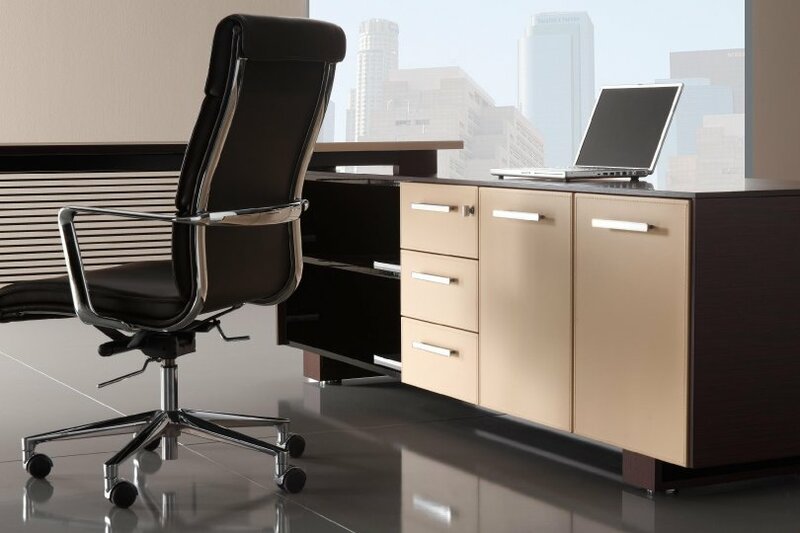 A superb range of executive office furniture with desk tops, table tops and doors and drawer fronts in leather clad options. Choose from Cream, Black, Tan or Brown leather. 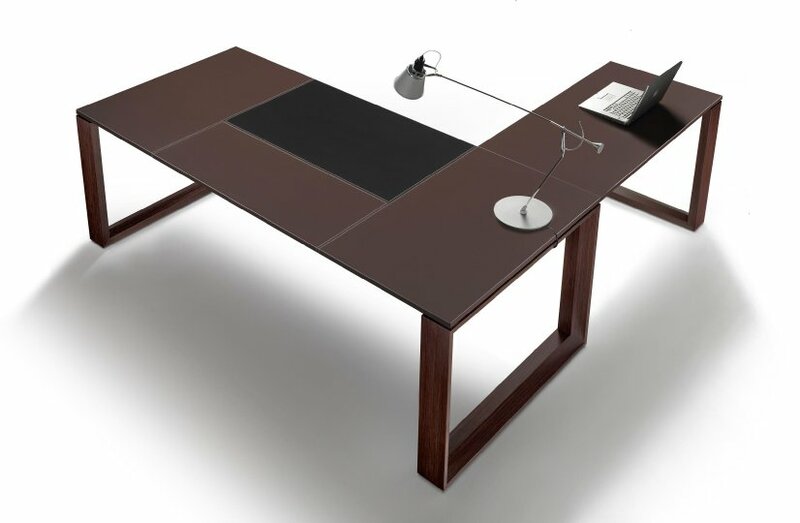 Carcass and desk structures are composed of real wood veneer in a choice of Wenge or Cherry. The leather elements also feature exquisite and contrasting nylon stitch detailing. Astral is manufactured in Italy to a high standard, the leather version of this range are available on a four week lead time. 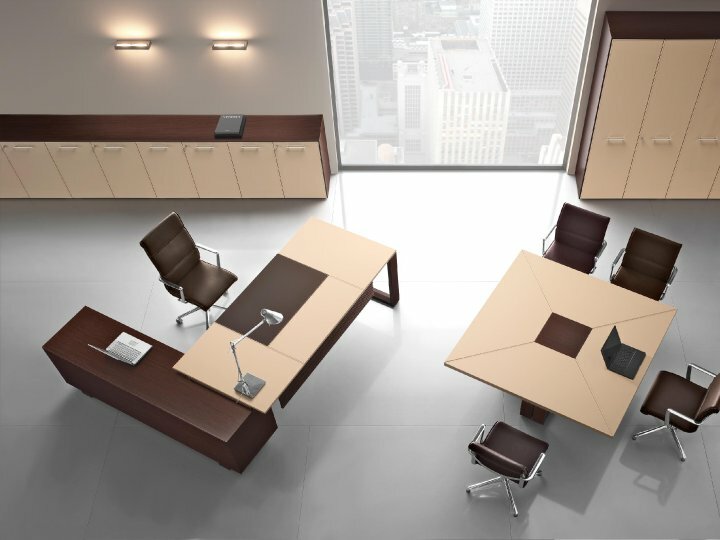 Astral also features a range of leather clad boardroom tables and executive credenza units. Special and bespoke elements can also be considered.